Fresh Citrus, Fresh Orange, Fresh Grapefruit, Fresh Lemon, Fresh Tangerine, Fresh Cherry Tomato, Fresh Dates, Fresh Avocado, Fresh Carrot, Concentrated Pure Fruit Juice, Fruit Oil. Planet Israel - is a Leading Company, Profession and Specialized in Israel Business Activities, Specially with Fresh Fruits, Fresh Citrus, Fresh Vegetables, Concentrated Fruits Juice & Food. 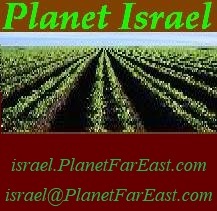 Planet Israel - Is part of Ohana Plantations & Planet Far East Group. To Be A "One Stop Shop" and to supply all the Needs, and Requirements, for Western Companies, Importers and Exporters to and from Israel. Concentrated Fruit Juice, Fruit Oil.